The company will be launching the new handset at the Mobile World Congress (MWC) which is set to take place in February. The Galaxy 9 is set for February 25 launch in an unpacked event. Tech giant Samsung, on Wednesday, announced the official date for the launch of Samsung Galaxy 9 is out. The company took to Twitter and shared a teaser of the Galaxy 9 where only the number is written. The picture of the smartphone is yet to be unveiled. 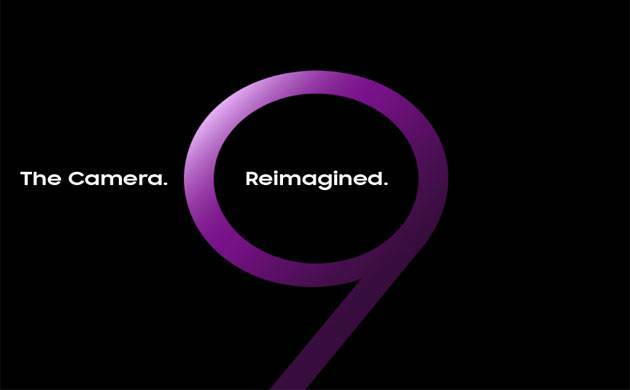 There is a purple “9” in the center of the invite with the words “The Camera” outside the number and “Reimagined” positioned inside the number. Unclear of any other data, the company has just shared that the camera should be reimagined, which means the camera quality of the smartphone will be good enough than other devices of Samsung. The details given on the website of Samsung give the date of the launch as February 25 and as per Indian time, the launch will take place at 10:30 pm. Live streaming of the launch will take place on the official website of Samsung India. The MWC, which takes place in Barcelona, is a tech event which features new smartphone launches. It is one of the largest event in the world. The MWC will start on February 26 and will continue up to March 1.